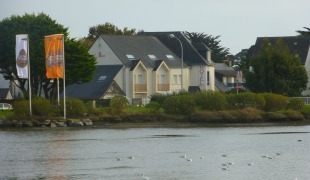 Hotel La Licorne faces a stretch of water known as 'Les Salines' (salt marshes), in Carnac. The view is stunning and the location is ideal for relaxing on the beach or for enjoying a bit of shopping. We have 26 rooms equipped with flat-screen TVs and Wi-Fi, with a choice of a view of the gardens or Les Salines (salt marshes). The hotel is ideally located in the Carnac-Plage area, just a short distance from the Thalasso & Spa Resort. The hotel could not be better located, since it is near the main Carnac beach, called the 'Grande Plage', the Casino and the cinema. Stay at our two-star hotel in one of the 26 pleasantly comfortable rooms. 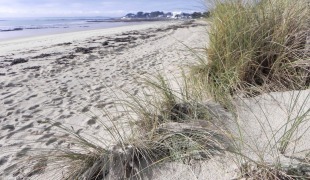 The hotel could not be better located, since it is near the main Carnac beach, called the ’Grande Plage', the Thalasso & Spa Resort and the cinema.